GRAPHISOFT declared the availability of the latest version of its BIM software alias ArchiCAD 18 to transform the BIM workflow to the next level. The important feature of this new application is the integration of CineRender, a sophisticated render engine having superior photorealistic rendering capabilities at par with the professional visualization application Cinema 4D. The cinema 4D users will now be able to put in highly developed graphics and animations to their projects as well as perform the rendering job within the BIM application. With quick preview and background processor support, the rendering progression becomes smoother. ArchiCAD 18 records and automatically documents alterations to the building model so that any dispute can be resolved easily in future. ArchiCAD 18 comes with the most updated Revision Management solution that is incorporated into the complete BIM workflow, facilitating 2D, 3D or any kind of hybrid workflows. By introducing BIM-related intelligence and data hierarchies into PDF files, ArchiCAD 18 provides PDF-supported smooth workflows for the various types of collaborators in the AEC industry by bringing in BIM-allied intelligence and data hierarchies into PDF files. ArchiCAD comes with various IFC-related enhancements along with professional scheme-motivated data management and data mapping and high-class (certified) export procedures. ArchiCAD 18 offers complete BIM Collaboration Format (BCF) support. It is an open file format facilitating users to include textual comments and screenshots on top of the IFC model layer to make improved communication process amid the coordinating parties. ArchiCAD 18 amalgamates BCF information natively into the BIM model through ArchiCAD Mark-Up entries. Therefore, ArchiCAD connects leading BIM applications like model checker, structural and MEP engineering software compatible with the BCF format. ArchiCAD 18 is completely incorporated with GRAPHISOFT BIMcloud® that facilitates industry-first, real-time BIM collaboration irrespective of the size, location or setup of the collaborating team. 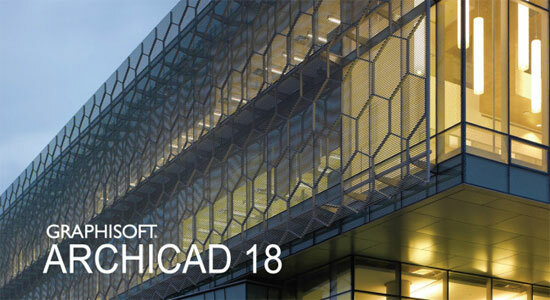 GRAPHISOFT ArchiCAD® 18 will be available for commercial application in June, 2014 with an remarkable list of 26 local versions rolled out by the end of Q3 2014.